Oven not working? Temperature too high or low? 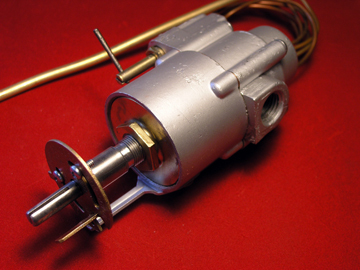 Uneasy about finding a replacement Gas Thermostat or cost of replacement? Help is on its way ! starts from back of thermostat, clips inside oven. sensor tube has cracks or is broken. temperature, sensor broken, gas smell, dial won't turn, or other. 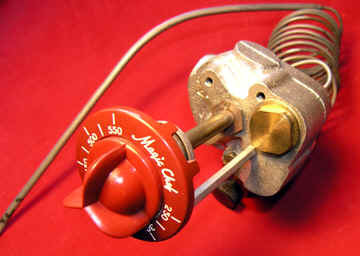 stamped on back or side of thermostat valve. PDF files digital delivery or Hard copy. 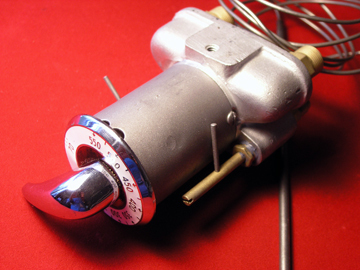 Rebuilt Thermostats - Ready to Ship- right away! If an exact match to your pictures is ready 'on the shelf' we will email you. 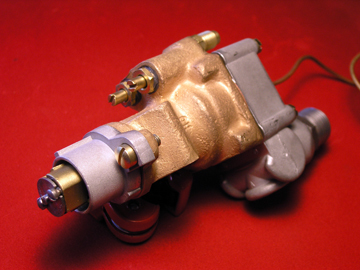 If not 'on the shelf', a FREE loaner Block-Off Kit is available for most stoves. 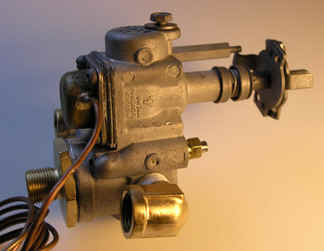 the Manufacturer, Model - stamped on the back or side of thermostat valve.